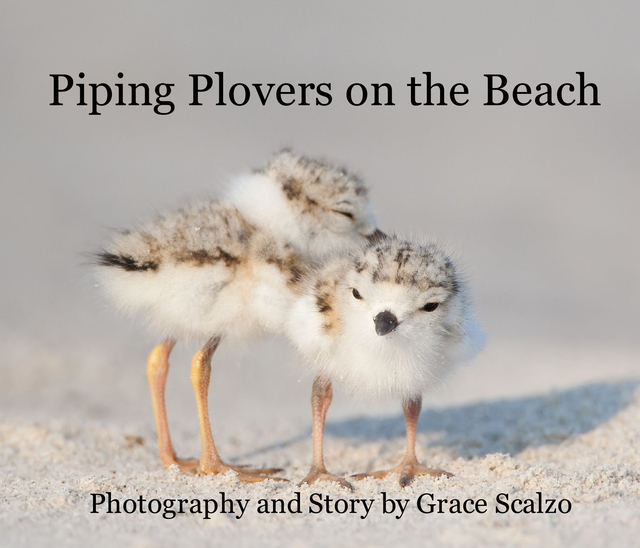 This is the story of the endangered shorebirds, the piping plovers, as they nest and raise their young. Their story is told though beautiful, endearing photographs and simple, but accurate terminology. It is a great read-aloud book, that will be enjoyed by children and adults alike. Grace Scalzo is a photographer, author, speaker and workshop leader. She believes that photography has great power in helping people to see and care about their environment. She uses her skills to encourage understanding, conservation, and respect for our fragile planet and the creatures that live here. She has been published in numerous nature photography magazines and contests. Her home is now in Texas with her husband, Ted, and their two rescue dogs, Blue and Jasmine. Grace loves grass-roots citizen science projects and participated in two local projects that she cares deeply about, horseshoe crab monitoring and diamondback terrapin research when living in New York. She now is managing hers and Ted's land as a wildlife refuge, under a plan approved by the State of Texas.